Introducing computer programming to your kids can be a challenge, especially for those who aren’t familiar with the nuances of code. 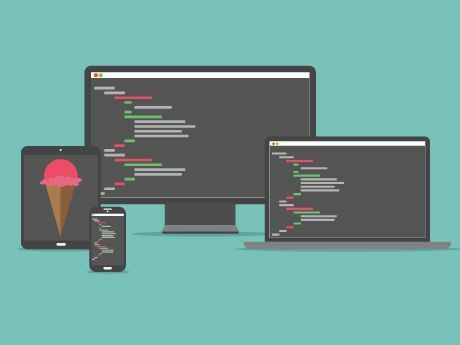 Fortunately, in the last few years, a number of apps, software, and guides have been produced that make the often-complex subject of computer coding easy to grasp for young learners. So where to begin? These are a few resources that parents can share with their kids to help them start learning about programming. Programming Tutorials From Made With Code by Google: Google's Made With Code project has a mission of encouraging girls to pursue careers in computer science. The Made With Code projects are easy to follow, and if your kids are completely new to coding, don't fret. There's something for both intermediate and beginning coders. Plus, there are even more tutorials in the Resources section with new offerings released periodically. Resources for Parents From MIT Media Lab's Scratch Team: Scratch is one of the most popular coding tools for kids, and it's designed to help students with little to no coding experience dive headfirst into programming. Essentially, the software lets students create animations and stories with building blocks that mimic the structure of computer code. Luckily, the team behind the software has made it easy for beginners. There's a wonderful web-based beginners' guide that will help students get started, or you can download a PDF version. Tynker's Hour of Code Free Activities: Tynker is a fun, intuitive suite of games that make it easy for kids to learn basic "computational thinking and programming skills." Their Hour of Code feature is a great starting point for jumping into all that the site has to offer. Plus, be sure to check out the Parents section for ideas and tips to get started. Lessons and Tutorials From Code.org: Code.org was launched in 2013 to advocate for wider access to computer science learning in schools and for underrepresented students of color. In addition to their advocacy efforts, Code.org has posted several useful lessons that are great to share with your kids. Aside from popular lessons like K-8 Introduction to Computer Science, there are links to informative tutorials from a variety of sources. 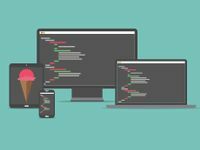 Best Apps and Websites for Learning Programming and Coding: This resource from Common Sense Media, featured on their Graphite platform, provides insightful reviews of popular programming tools. All of the reviews on the site are by teachers, and they're based on ease of use, quality, and engagement, among other criteria. Computing Lessons on Khan Academy: Khan Academy's self-paced courses introduce a number of fascinating coding concepts to kids. From learning the basics of computer programming and animation, to more complex computer science subjects, these lessons are the perfect jumping off point for curious students. When you're ready to get started, check out: Teaching Kids Programming with Khan Academy by Patrick Reagan.